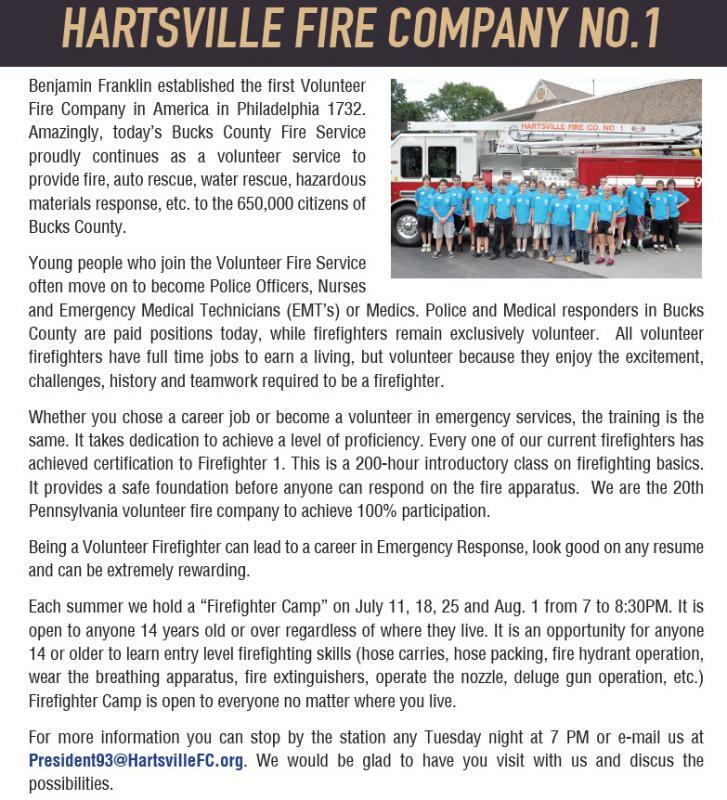 At Hartsville we are seeing the state and national trend, less volunteers. 2018 is the 95th year of operation. We are hoping that by making our community aware of our needs and opportunities, we will get more people to become volunteer firefighters. Each summer we hold a “Firefighter Camp”. This year it will be held on July 11, 18, 25 and Aug. 1 from 7PM to 8:30PM. It is open to anyone 14 years old or over regardless of where they live. It is an opportunity for anyone 14 or older to learn entry level firefighting skills (hose carries, hose packing, fire hydrant operation, wear the breathing apparatus, fire extinguishers, operate the nozzle, deluge gun operation, etc.) Firefighter Camp is open to everyone no matter where you live. For more information you can stop by the station any Tuesday night at 7 PM or e-mail us at President93@HartsvilleFC.org. We would be glad to have you visit with us and discuss the possibilities.